gift for the new little camo princess. Officially licensed Mossy Oak Pink Camo Baby Gift Set. 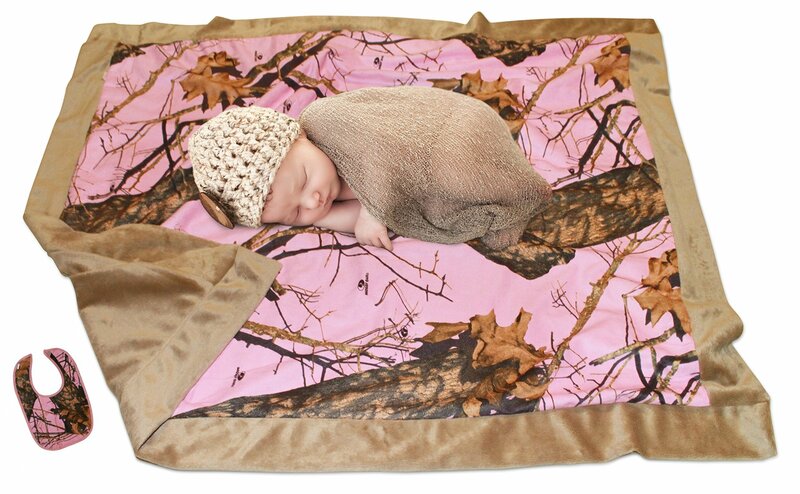 This listing is for the slightly larger 34x40" blanket; we have another listing for a smaller square 34x34" blanket Pink Mossy Oak Camo Baby Blanket and Bib Gift Set.